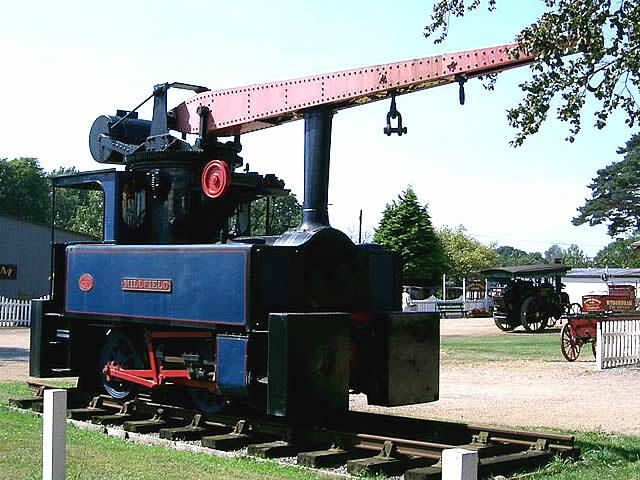 Bressingham Steam & Gardens is a steam museum and gardens located west of Diss in Norfolk. The site has several narrow gauge rail lines and a number of types of steam engines and vehicles in its collection and is also the home of the national Dad's Army exhibition. The gardens were established by Alan Bloom MBE (aptly named) at Bressingham Hall. He moved to Bressingham in 1946, after selling his previous 36-acre site at Oakington in Cambridgeshire to raise the capital for the 220 acres in Norfolk, where he hoped to be both a farmer and a nurseryman. He was a plant expert of international renown, particularly in the field of hardy perennials. He laid out the Dell garden with its well-known island beds. His son, Adrian Bloom, laid out the Foggy Bottom garden. There are three railway lines which take visitors around the gardens: The Garden Railway - 10 1⁄4 in gauge miniature railway. Runs through the Dell Garden, giving passengers good views of the various plants. The railway's passenger trains are operated by steam locomotive Alan Bloom, which was constructed along with the railway. The Nursery Railway - 2 ft narrow gauge railway. The railway is 2.5 miles in length and crosses the Waveney Valley Railway. Three steam locomotives are based on the Nursery Railway. Quarry Hunslet 0-4-0ST No. 994 George Sholto (built in 1909 and last overhauled in 2011) and 0-4-0PT No. 2 Bevan (constructed at Bressingham in 2009) are operational whilst 1883 built Quarry Hunslet 0-4-0ST No. 316 Gwynedd is being overhauled. The Waveney Valley Railway - 15 in (381 mm) gauge miniature railway. Crosses the Nursery Railway and also runs parallel to the standard gauge line for a time. The passenger trains are operated by 2-6-2T St Christopher (constructed by the Exmoor Railway in 2001). 1937 built Dusseldorf 4-6-2s Mannertreu and Rosenkavalier await major overhauls. The site also contains a short standard gauge section of track and standard gauge footplate rides are sometimes available to visitors. During 2013, a circular track of dual 7 1⁄4 in gauge and 5 in gauge was under construction. Once completed, there will be a total of six different gauges at Bressingham. A variety of steam vehicles are in the collection. Steam Engines Portable and others: - Burrell No. 2363 of 1901 Portable; Youngs Portable of 1910 manufactured locally in Diss; Tidman Centre Engine (fairground) No. 1891; Merryweather Fire engine no. 3702; Merryweather Fire pump of 1914. Steam Rollers: - Burrell No. 3962 Boxer of 1923 reg no. PW 1714; Burrell No. 3993 Buster of 1924 reg no. CF 5646; Robey (company) 4 ton Tandem Steam Roller No. 42520 Barkis built in 1925 reg No. FE 7632. Steam Tractors / Traction: - Garrett 5 ton Steam Tractor No. 34641 Bunty, built in 1924 reg no. CF 5913; Burrell Traction engine No. 3112 Bertha of 1909 reg no. CF 3440; Foster Traction engine No. 2821 Beryl of 1903 reg. no. BE 7448; Fowler Traction engine No. 6188 Beulah of 1890 reg no. MA 8528. The museum is the home of the national Dad's Army collection of vintage vehicles. These are located on a reconstruction of the High Street in the fictional Walmington-on-Sea beside the butcher's shop of Lance-Corporal Jones, Private Frazer's undertaker's shop and Captain Mainwaring's bank office. 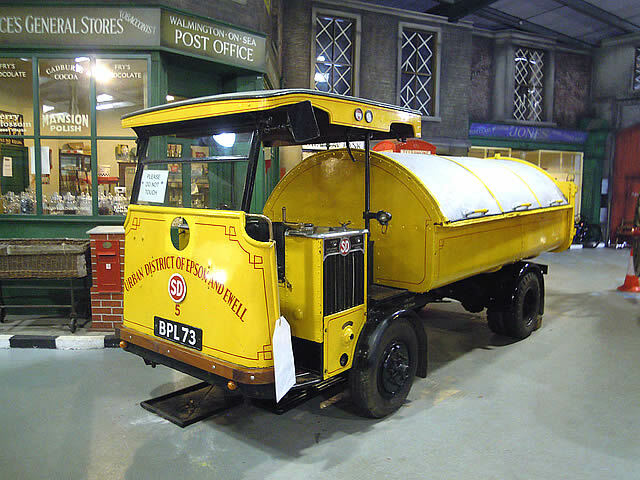 The vehicles include Jones' van and the dust cart from the 1971 film, Mainwaring's staff car used in the episode The Captain's Car, the vintage fire engine used in Brain Versus Brawn and the steamroller 'Boxer' and traction engine 'Bertha' which appeared in other episodes. The site and gardens are wheelchair friendly with paths of grass and tarmac. All of the museum buildings are accessible with the exception of one gallery in the exhibition hall and the signal box. The Nursery and Waveney lines both have carriages capable of accommodating standard wheelchairs. There is a unisex disabled toilet and unisex baby changing facilities at both the museum and garden centre. Assistance dogs are welcome. This is a woderful venue with in a beautiful setting with a great deal to engage the visitor. Wednesdays to Sundays are always Steam Days. Transport: Diss (National Rail) then taxi (3 miles). Bus Routes : 1 and 17 stop outside.